Do you need the services of a Barnsbury London Locksmith who offer a 24 Hour Service which will NOT charge SILLY prices? You are looking at such a Locksmith page... Our Locksmith Business is a Company based in London which has been established for many, many years and are Company members of The Master Locksmith Association, an Association recognised by the Police and Insurance Companies. 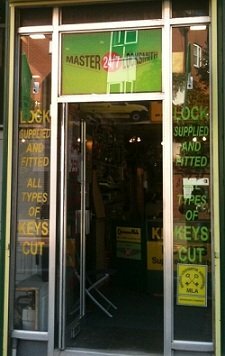 A 24Hour Barnsbury London Locksmith, who give the service they promise. If you would like an estimate on any work in which our 24 Hour Barnsbury London Locksmith team undertake, or would like FREE advice on any locks or keys, please fill in the estimate form below and we will respond as soon as possible with any quote required, or telephone our office direct on 0208 800 6041, where our friendly Locksmith team will be happy to assist you.